Sokrati, Pune based multi-channel performance marketing platform for Online Retail, has come out with an interesting study that reveals some interesting insights of Indian E-Commerce market. The findings were based on over 1.6+ billion user events, 1.4+ million buyers who did over 2 million transactions over period of 3 months between Jan to March 2016. It only considered online retail and did not include digital goods or travel segment. Also, the study covered web only data (access desktop & mobile devices), and has not taken app-based purchases into consideration. Even though it is popular belief that Women spend more time shopping, when it comes to online purchases, Indian men make 3 times more online purchases than women. Not only do men make more purchases, their conversion rates are higher than women with about 21% higher Average Order Value (AOV). Delhi-NCR and Mumbai alone account for 55.83 percent of all online purchases with Delhi-NCR accounting for over 36 percent. 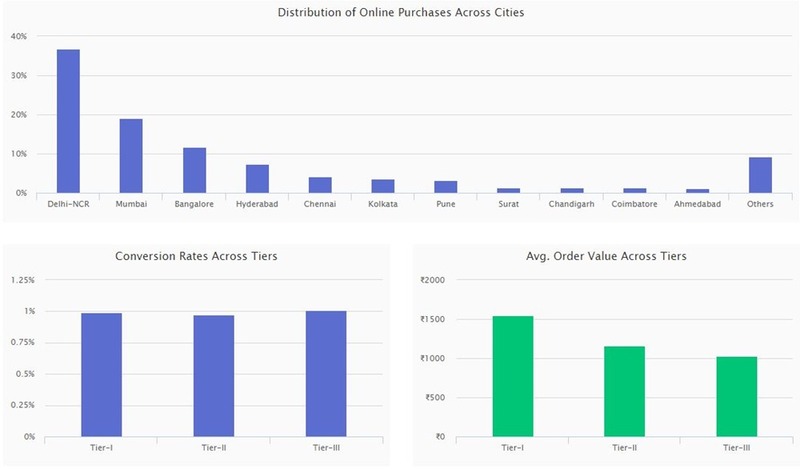 While there have been talks that Tier-II and Tier-III cities are driving sales, according to Sokrati report, Tier I cities account for 8 out of every 10 orders. Note: It might be completely different in case of mobile app purchases, as Tier-II & III cities typically order from mobile devices, which this report does not consider. Tier-I city average order values are also higher compared to other tiers! 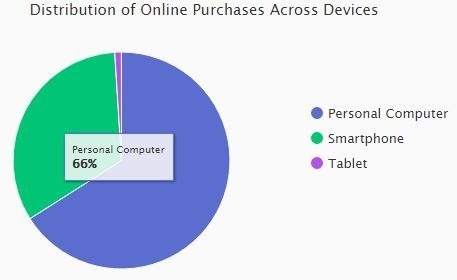 When it comes to ‘Web’ based purchases, Personal Computers (PCs) are still the preferred devices for online purchases with more than 65% of the online purchases coming from them. They also have a 23% higher Average Order Value (AOV) compared to smartphones. Interestingly, while Android commands a higher share of Mobile Web purchases, iOS based Shoppers have 40% higher AOVs! 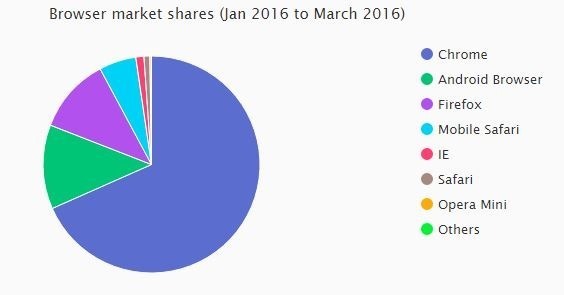 As far as choice of browsers go, Google’s Chrome browser is an overwhelming favourite with more than 2/3rd of purchases made through it. While mobile wallets and netbanking transactions are on the rise, when it comes to making online purchases, most of the buyers still prefer Cash-on-Delivery payment model. 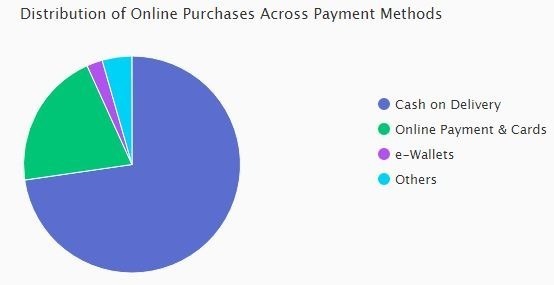 Payment options like Net-Banking, Credit & Debit Cards and e-wallets combined contribute to only about 30% of all online purchases, as compared to Cash On Delivery (CoD). Interestingly, according to the report only 2.4 percent payments are made through digital wallets. 1 out 3 online purchases made are for clothing and accessories, while Mobile & Accessories account for 27 percent. These two categories remain the favorites for Indian online buyers. However, when it comes to Average Order Values (AOV) & overall Revenues, Electronics still rule all other categories. Majority of online purchases are made during office hours (i.e. 12-5 p.m. on weekdays) as per the report. When it comes to popular days Wednesdays and Thursdays are most popular! The report states that average Indian shopper has made 1.2 online purchases in Jan-Feb-Mar 2016 – which could point to the fact that average online buyer makes about 4-5 purchases from online portals in a year! "Indian ECommerce Trends: Men Shop 3X More Than Women, CoD Still Dominates", 5 out of 5 based on 5 ratings. More Proof that Amazon Prime is Coming to India!